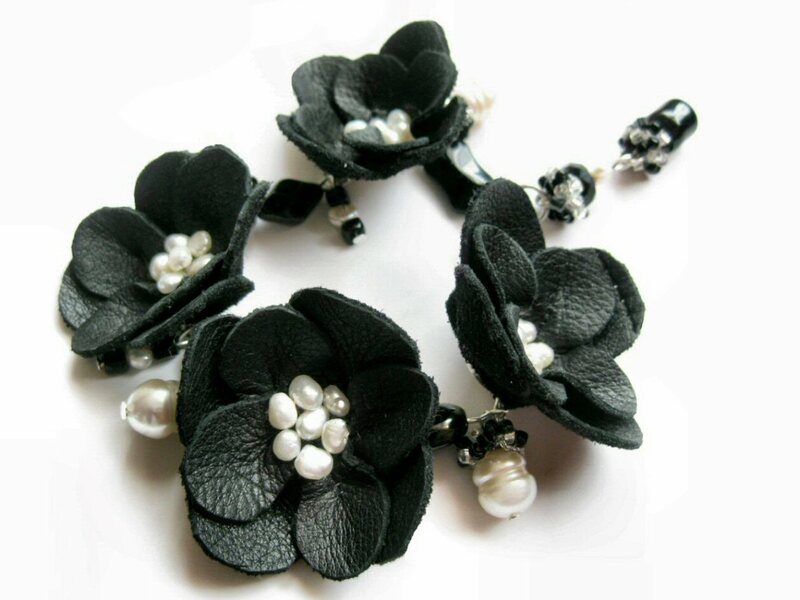 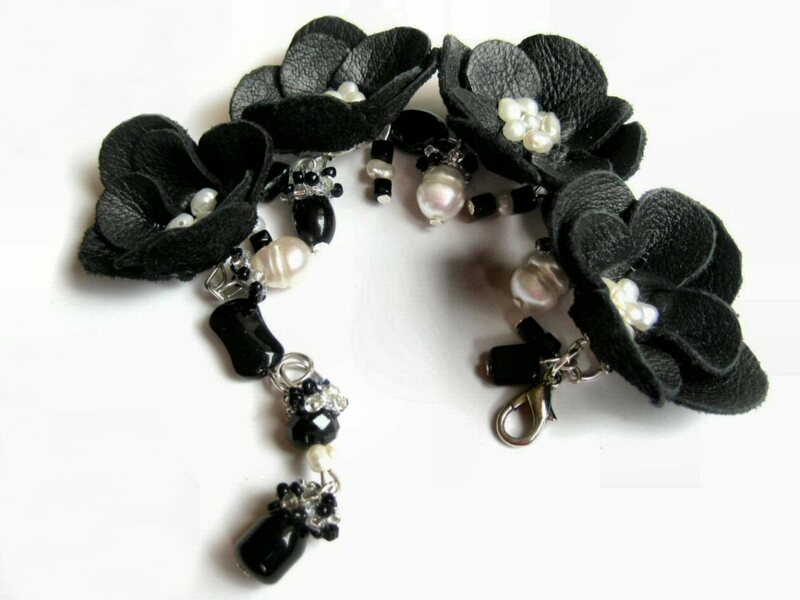 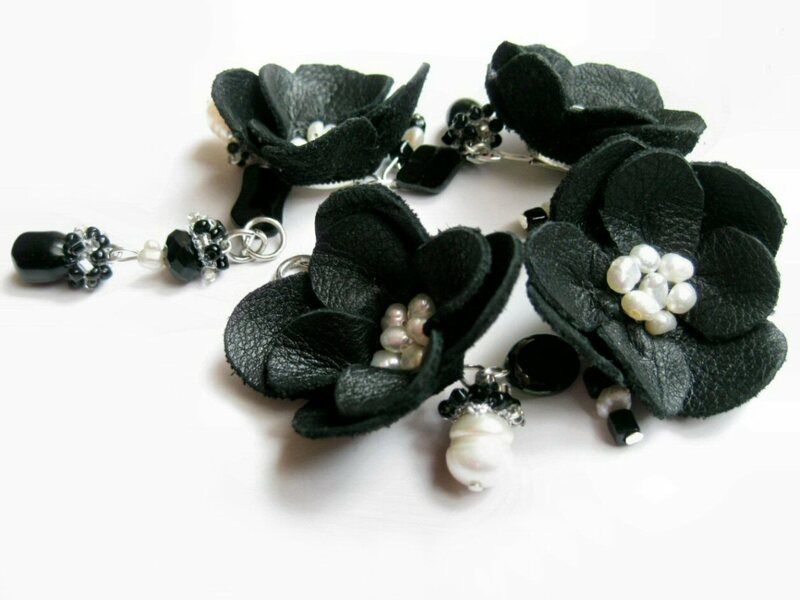 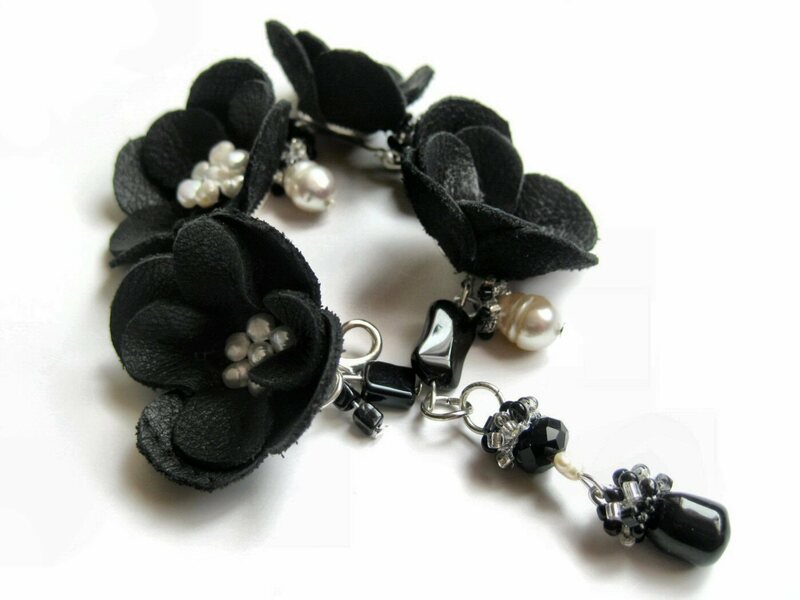 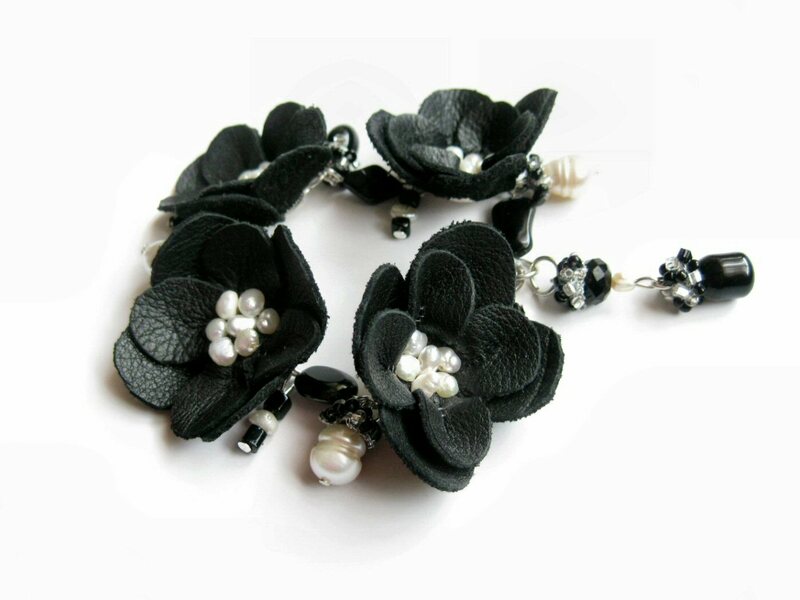 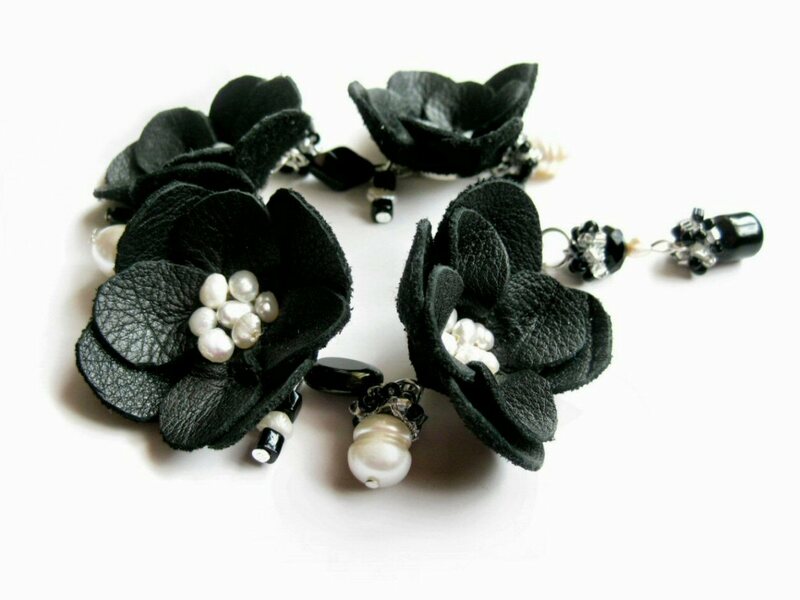 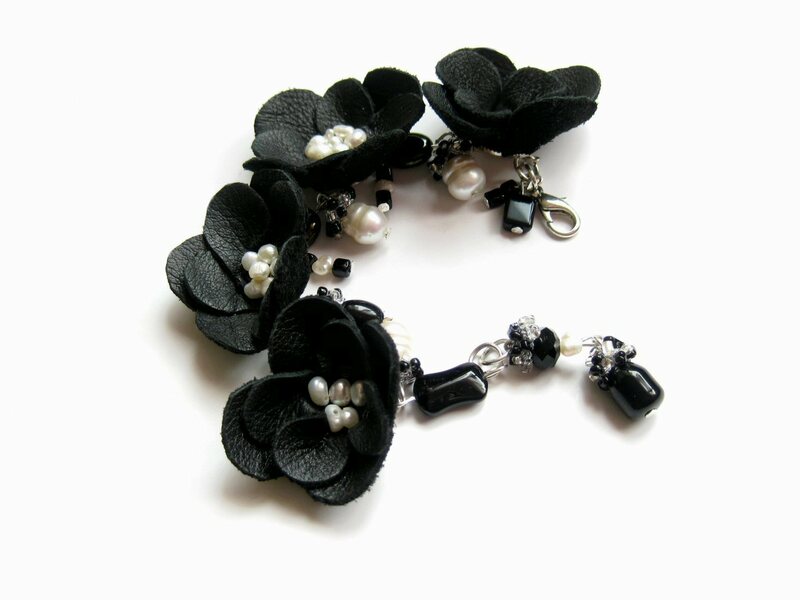 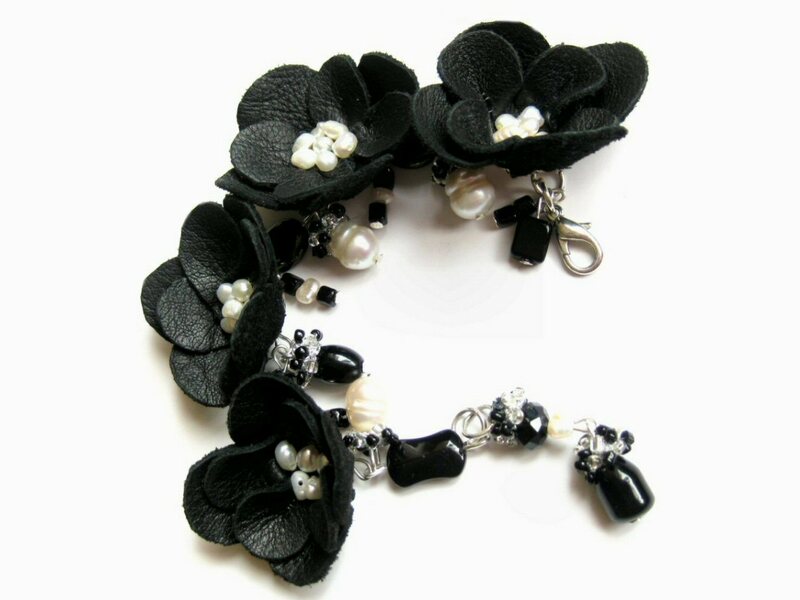 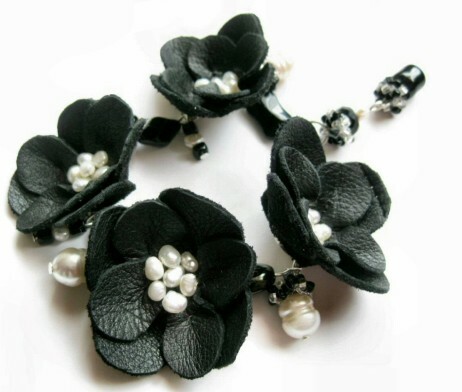 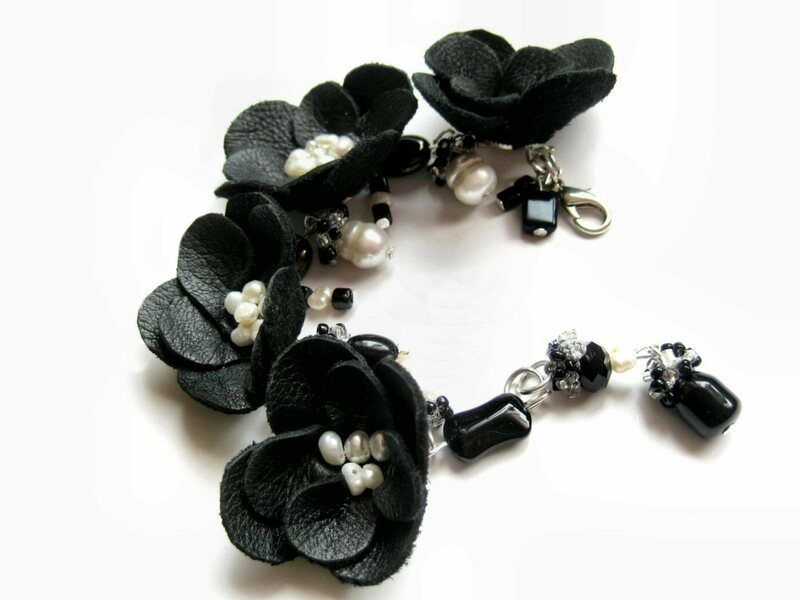 Black genuine leather flowers centered with natural colored fresh river pearls are featured in this stylish handmade bracelet. 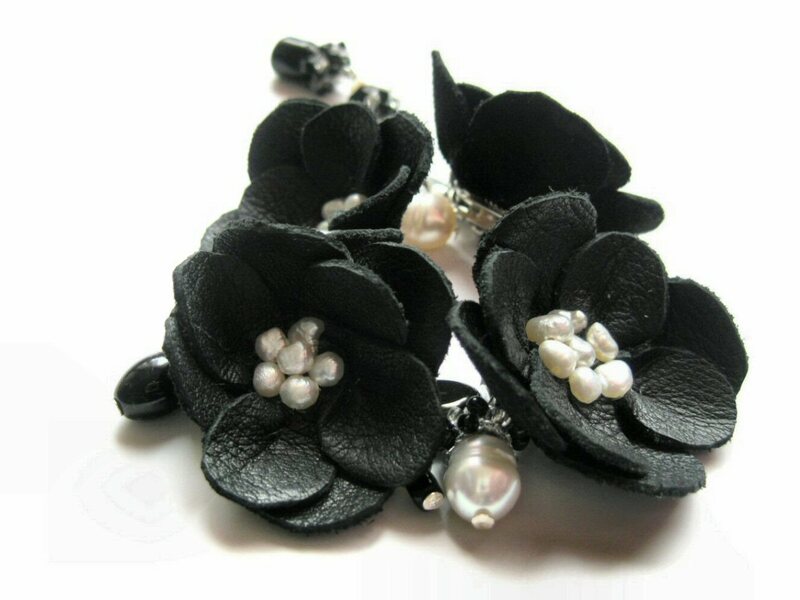 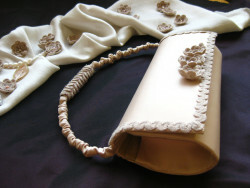 Soft leather flowers are hand sculpted and sewed and then attached to a metal holder. 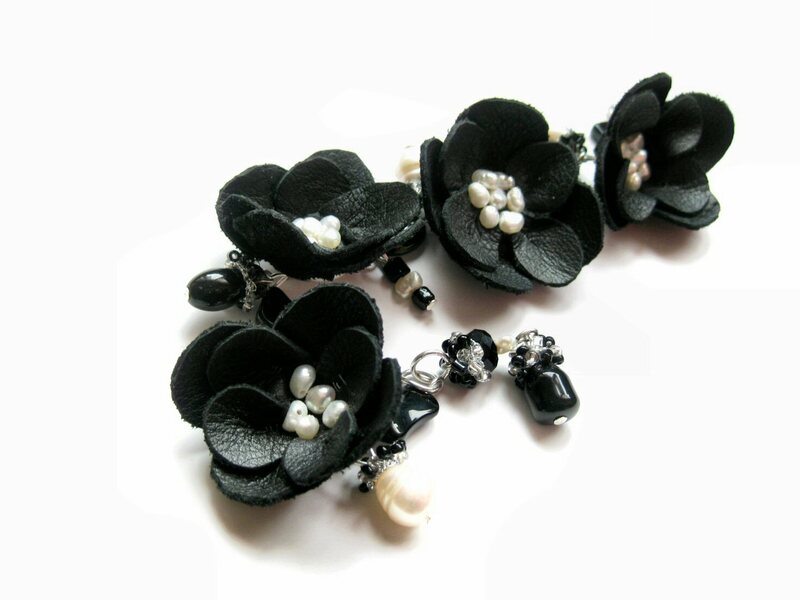 Each flower has an average size of 3.5 cm x 3.5 cm and is decorated with small natural pearls. 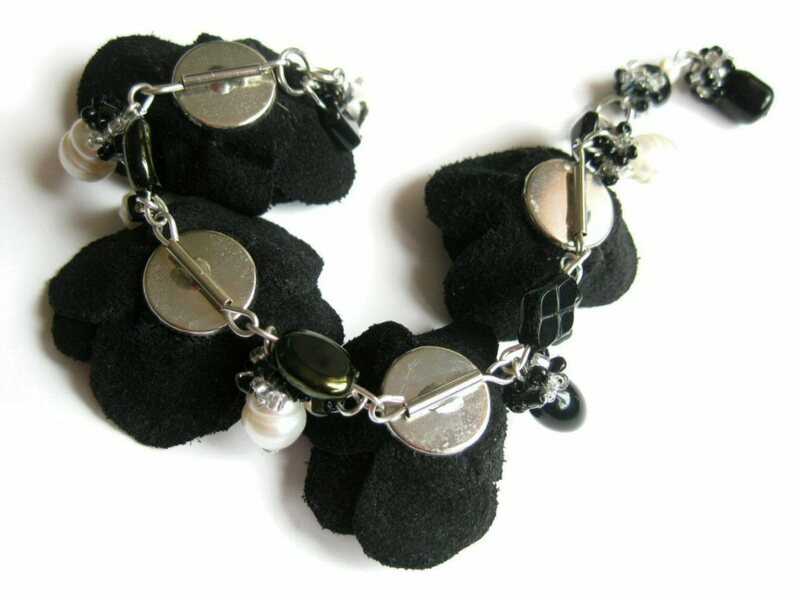 Several pearl and glass pendants stand all around the bracelet. 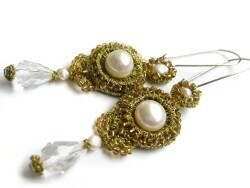 Delightful and fun bohemian accessory or even amped up to high fashion….